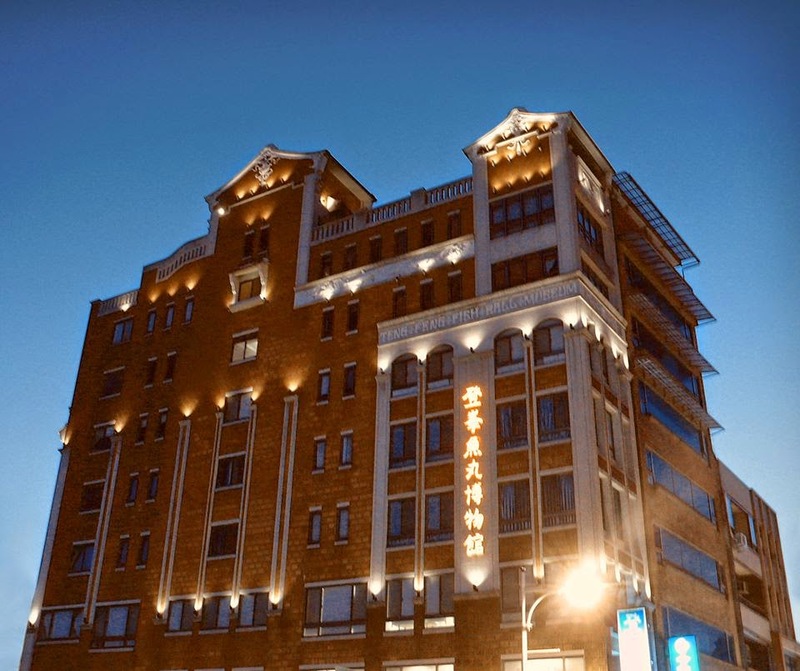 Interestingly, there is a photo of 淡水戲館 available on the internet. Many have mistaken it as a theater in Tamsui. 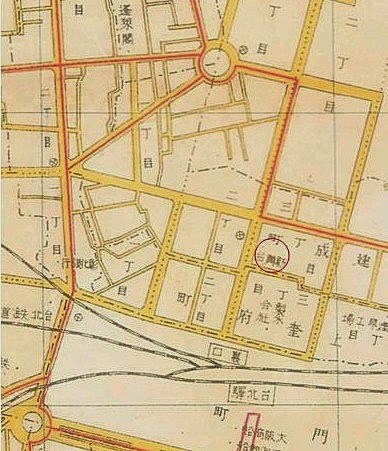 In fact, it was located in 建成町 (on now 太原路), in Taipei. 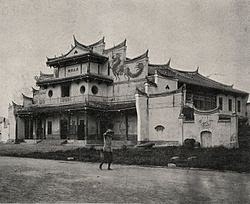 This theater was built in 1909 by 荒井泰治 et al to show traditional Chinese dramas. It was bought in 1915 by 辜顯榮 who renovated it, re-named it 臺灣新舞臺, and invited Peking Opera troupes from Shanghai to be the main attraction. 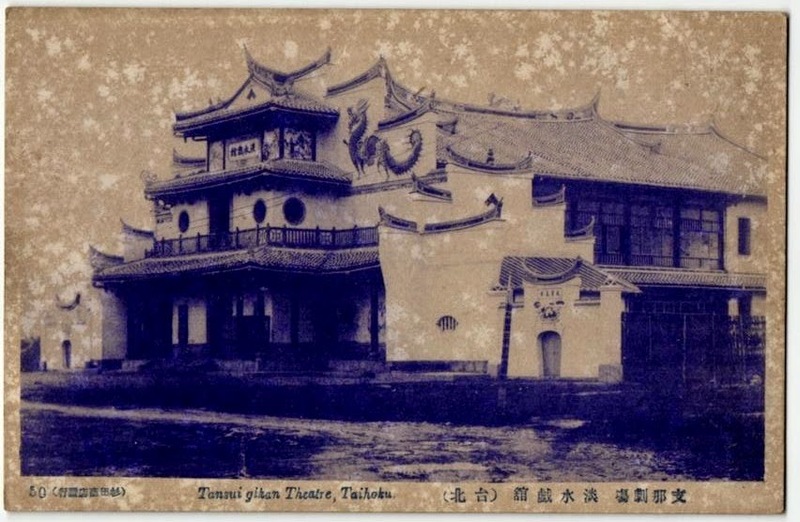 Re-organized as 新舞社歌劇團 in 1931, it became all 歌仔戲 [Taiwanese operas] all the time. Quite a popular place in Taipei until May, 1945, when this area including the theater building was destroyed by the US bombing of Taipei. Ours in Tamsui, the 淡水戲院, was far less grandiose in outward appearance albeit no less popular.